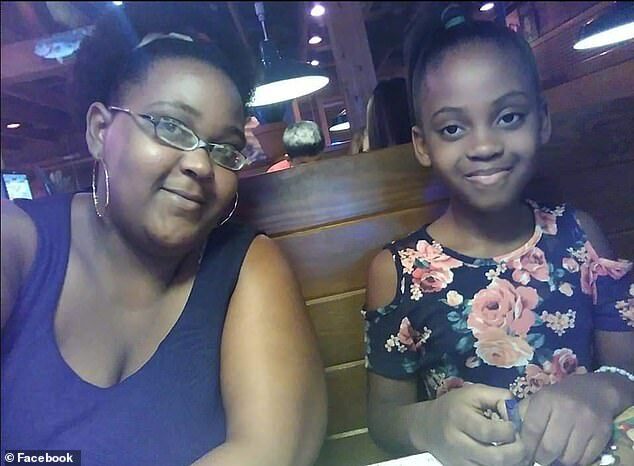 McKenzie's mother, Jasmine Adams, told CBS 42 that much of the bullying came from her friendship with a white boy and how his family would drive her to school. McKenzie's aunt, Eddwina Harris, also told the Tuscaloosa News about the racially-motivated taunting. 'She was being bullied the entire school year, with words such as 'kill yourself,' 'you think you're white because you ride with that white boy,' 'you ugly,' 'black b-tch,' 'just die',' she echoed. The grieving family felt the school system failed her daughter. 'I just felt that our trust was in them that they would do the right thing,' Adams told CBS 42, 'And it feels like to me it wasn't it wasn't done'. 'We are working fully with the Demopolis and Linden police department. They are doing a joint investigation of these allegations,' said schools attorney, Alex Braswell in a statement. Harris described her niece as a girl who loved the beach, the zoo and wanted to be a scientist some day. She intends to use her platform as a a media personality in Atlanta to speak out for other bullied children. Funeral services are to be held on Saturday at McKenzie's school, U.S. Jones elementary in Demopolis.